The Argentinian midfielder will be with the club until the end of the season. 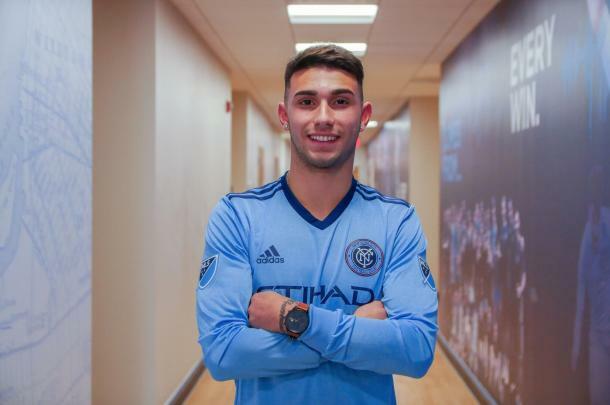 Friday morning, New York City FC announced that Valentin Castellanos would be joining the club on loan from Club Atlético Torque for the remainder of the season with an option to buy subject to receipt of his P1 Visa and ITC. This is Domènec Torrent's second signing since joining the club just over a month ago after completing the singing of Eloi Amagat not long ago. The teenager began his professional career with Club Universidad de Chile, a team obviously based in Chile. Unfortunately, Valentin never made an appearance for the club before his move to Club Atlético Torque where he enjoyed his first minutes as a professional. He went on to score three goals for the club in 19 appearances for Torque before his move to MLS where he'll hope to continue improving at the professional level. Castellanos was so good at times, that he earned Primera Division award for Young Player of the Month for June. New York City FC already has a dangerous attack featuring Maxi Moralez, David Villa, Ismael Tajouri-Shradi, Jesús Medina and a few others, so Castellanos will have to click with his teammates early if he wants to earn minutes in The Big Apple. The teenager opened things up with “I’m so excited to be here, I feel so happy and thankful to this institution and to all of the people for bringing me here." Clearly understanding the situation he was put in, Castellanos went on to say “My goals are to click with this team, to try to win minutes, to learn as much as I can from the coach and to be able to play as soon as possible." Valentin Castellanos enters a talented team just one point of the race to the Supporters' Shield and sees the potential for success at this club. 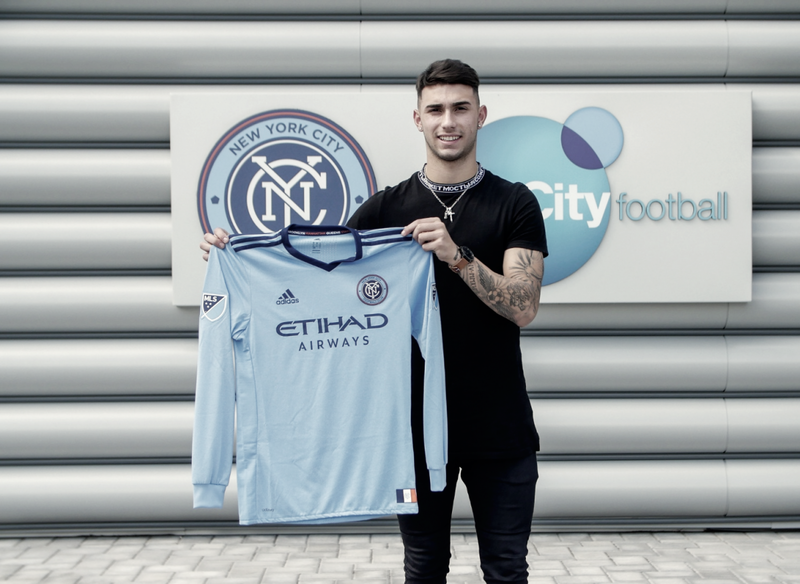 “I want to win trophies with NYCFC and, with the type of players I’ve seen and studied, we can try to do that. My focus now is to train with the team and get to know my teammates."